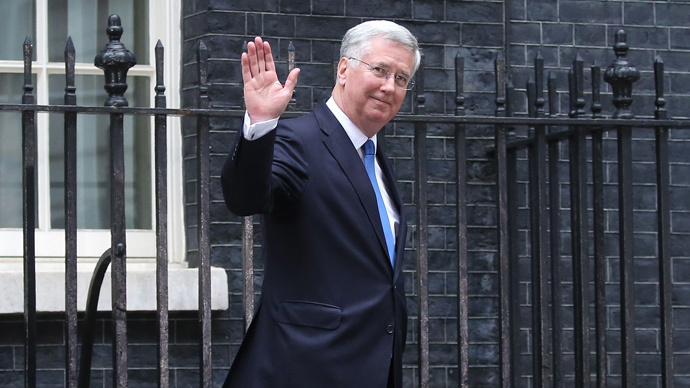 Proposed cuts of £1 billion to defense spending could leave Britain exposed if tensions in the South China Sea, where Britain has ‘huge commercial interests,’ escalate to war, according to Defence Secretary Michael Fallon. He made his comments at a major defense conference in Singapore. He also contested the need for cuts on the scale proposed by the Treasury. “My job is to make sure that the armed forces have what they need to keep Britain safe. That’s what I’ll be negotiating with the chancellor,” said Fallon. On Friday, it was reported Chancellor George Osborne had told the Ministry of Defence (MoD) to find £1 billion worth of cuts. The move could also end Britain’s ability to meet the symbolic contribution of two percent of gross domestic product (GDP) to NATO, a topic of fierce debate in the run-up to the recent general election. China is not alone in extending its influence in the region. In March, a defense minister announced one of the UK’s most advanced military satellites would be repositioned over the Asia-Pacific region to provide secure communications to Britain's allies. The Skynet 5A satellite is owned and operated by the global arms firm Airbus Defence and Space. The “hardened” satellites orbit earth in a “constellation” composed of eight separate units, providing the MoD with all its global “Beyond Line Of Sight” (BLOS) communications capacity. In a statement published on the MoD website, Defence Minister Phillip Dunne said: “Today’s announcement that Airbus will be moving one of the UK’s Skynet 5 satellites to the eastern Asia-Pacific region is clear proof of how much our relationships with our international allies matter.